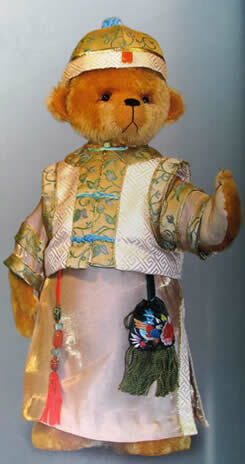 Chan Ching Yee Gloria, (Gloria to her European, American friends and collectors), decided one day to undertake an impressive task; introducing the world of Teddy Bears to the Chinese society. 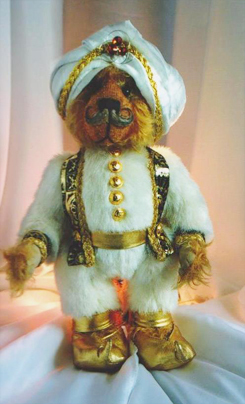 It all started in 1997 when German teddy bear artist, Helga Schepp and her husband, visited Gloria's shop in Hong Kong. Gloria had posed a question to Helga, "What is the difference between factory bears and artist bears." Helga's reply was, "If you come to Germany, I will teach you how to make artist bears." agreement that she could use Helga's company name to promote teddy bears in Hong Kong and China. "In the beginning, I knew nothing about the bear world," Gloria confessed. But by 2011, she returned to Dortmund, Germany with her portfolio in hand. 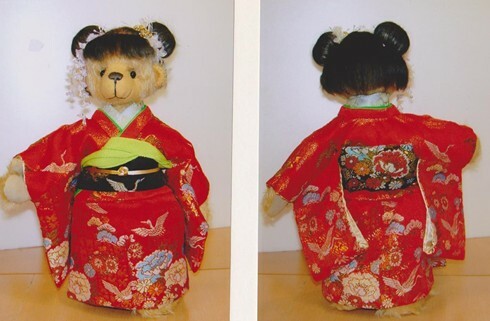 She had written a book on teddy bears, organized 13 teddy bear exhibitions, taught classes with more than 30 students, won awards in Hong Kong and overseas and founded the Hong Kong Teddy Bear Association; bringing her intention of introducing China to the teddy bear world. 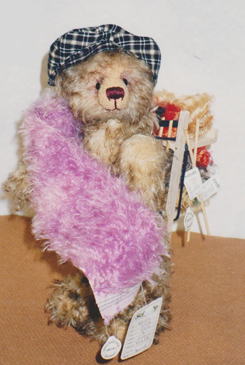 Originally, Gloria had a gift shop, but once she started making teddy bears, her shop changed and the focus was on selling bear making materials, bear arts and crafts. 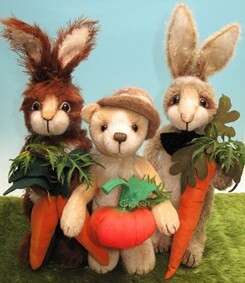 "I don't have many bears to sell, but each year I sell hundreds of bear kits in my shop." Gloria splits her time between the shop and teaching students the art of bear making. "Besides the Hong Kong students, we have temporary students who come from overseas and from mainland China." When she's not teaching her classes, Gloria is busy making bears herself. "I make about 12 new bear patterns, and almost 30 bears each year, because I do a limited edition bear for a famous merchandising company. I always look for new designs and ideas for the Hong Kong and China bear markets because always selling the same thing would not keep my shop in business for long." 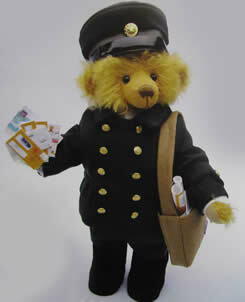 Teddy bears have opened up a whole new world for Gloria, reaching out past the borders to amazing new opportunities. What's truly amazing is that one person can change the world so much. But bear hugs are far reaching and Gloria brought those hugs to China and now China is forever changed.